Every human being on this Planet is carrying very specific coding and when we walk these Earthly Planes, we are always collecting and distributing these codes on a level of light and information, in a geometrical fashion. This Ascension Tour is for those souls that feel a strong pull to come. 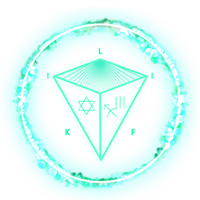 When you feel that pull, your spirit is calling you, as a Planetary Guardian, to travel to Egypt on this Tour, where you will Unite with the Star Magic Tribe, our Galactic Ancestors and those Brave Light Warriors that have journeyed throughout time and space, working tirelessly to protect this Sacred Planet we call Earth. As we travel these ancient lands we will be stopping at various sacred energy hot spots and distributing our coding, deep into the Planetary Grid to assist with Ascension and the bringing forth of the Golden Age. You will receive extremely powerful upgrades and downloads to activate the new Planetary Architecture that is opening up to us all. You will be journeying deep into the cosmic fabric and expanding exponentially as you are exposed to Light Language, High Frequency Light and Geometrically infused vibrational codes. 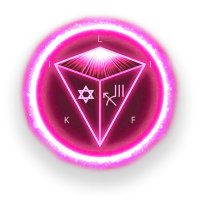 As you journey through the sacred sites and high elevation areas with your Tribe, you will receive a number of very specific Light Code Activations. Jerry and his Cosmic Team will facilitate these. Bringing through the Star Magic Frequency upon these lands, infusing them with the local and cosmic grid networks, will be some of the most powerful activations on Earth. Arrival at Cairo Airport. Meet & Assist by the Star Magic Tour Team. Transfers to your Hotel. Dinner, Tribe Synchronisation Meditation and overnight stay. Breakfast followed by a Tribe Meeting to go over the entire tour. Group Tribe Activation & Healing. Very early in the Morning will leave the Hotel for our special Private Opening for Cheops Pyramids, Giza (Crown Chakra). 2 Hours Meditation and Planetary Light Code Download inside the Queens and Kings Chamber to fully activate the divine masculine and divine feminine Ascension Frequencies. After the Visit a 1 hour Rest to have Breakfast before visiting some private Tombs and the Second Pyramid inside. In the afternoon we visit the Sphinx and the Temple of Sphinx. Dinner and Overnight at Hotel. Today will visit the new Grand Egyptian Museum. One of the biggest Museums in the World with more than 140,000 pieces from the ancient Egypt. Dinner and overnight at the Hotel. Flight from Cairo Airport to Sohag. Arrival at the Sohag Airport and drive to visit Akhmim. Afternoon Drive to the Temple of Abydos. We will then visit the Temple and the Osirian (3rd Eye Chakra), Where the Tomb of Osiris lies. We will see the Flower of Life on the Temple Pillars. A Multidimensional Magic Group Frequency Activation will take place here. Check in on board our ship for the Nile Cruise. Dinner and overnight on the Nile. Drive to the West Bank to visit the Valley of the Kings, Temple of Hatshepsut and the Colossal of Memnon. Lunch on Board. Sailing to Edfu. Overnight in Edfu. Breakfast on Board. Visit the Temple of Edfu ( Solar Plexus Chakra) dedicated to the God Horus. We will be working with Horus, Thoth and Serapis Bey in this space for a DNA Activation. Return to the Cruise to have Lunch. After Lunch Sailing to Kom Ombo. Dinner & Overnight on Board. After Breakfast visit the double Temple of Kom Ombo (Sacral Chakra), dedicated to Horus & Sobek who are dedicated to courage and bravery. Return to Cruise to have Lunch. After Lunch a nice relaxing afternoon Sailing to Aswan. Dinner & Overnight in Aswan. Early in the Morning Visit the Isis Temple on the Island of Phile (Root Chakra), home of the Goddess Isis, known as the Goddess of magic. Afternoon Visit the unfinished Obelisk and Aswan’s high dam. Lunch, Dinner and Overnight at the Cruise. Free Day or optional Tour to the Temple of Abu Simble. 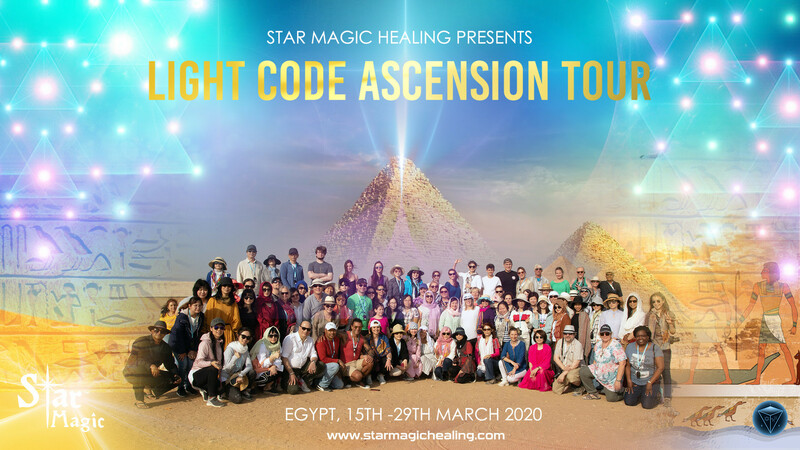 This Ascension Tour is for those that really want to connect, elevate their spiritual journey and unleash the Egyptian Magic which lies within your DNA. Don’t think about it – JUST BE ON IT! We have negotiated special access to the Well, the Queens and Kings Chamber to explore and go through a very special initiation. Throughout the entire tour we have a number of downloads and upgrades planned for you. This tour will be a Gigantic Frequency Shifter. We will be doing some Advanced Planetary Grid Work to Recalibrate you and connect you with your Galactic Avatar Light Body, preparing you and infuisng into the Golden Grids, ready for Ascension. Serapis Bey came from Venus in the Ancient of Days to rekindle the sacred fire in the hearts of a wayward mankind. His great enthusiasm to reclaim the sons of man as kings, queens, priests and priestesses, swelled and mounted into a flame of iron will, determination and discipline. Serapis is the hierarch of Luxor, initiator of the ascending ones in the applications of the sacred fire and is an architect of holy orders, conjurer of the inner sanctum of light, supporter of the golden-age cities, master of discipline of the forces of Light, keeper of the Asencion Flame and one who creates Peace and Cosmic Freedom. He assists his students in the self disciplines that are necessary for ascension: the discipline of the four lower bodies is mission critical in c0-creation in the world of form; the disciplining of past momentums of negative spirals and of human creation that would stand in the way of the ascension flame forming within the heart of everyone evolving upon the planet through the acceleration of the threefold flame. Throughout this entire Ascension Journey we will be working with Serapis and other powerful beings. This is going to blow your mind – literally. You will leave this Ascension Tour seeing/feeling/knowing life, completely differently. It will change your life and transform you, forever. You will leave this workshop a different human being. Get ready to be empowered. Prepare to bathe in some of the wondrous new high frequency energies available. WHAT DID PEOPLE SAY ABOUT OUR LAST ASCENSION TOUR? Dear Jerry,I arrived back home last night and I want to say thank you to you. It was an Amazing Journey and a unforgettable experience for me. It was the longest trip in mylife and I will never forgot what I experienced. I cleansed myself of so guilt and control issues. I also have discovered how to love myself. Facing the biggest fear of my life turned into an unforgottable 2 weeks of magic in Egypt with the fantastic Star Magic team, my sisters and brothers from all over the world. I feel love and gratitude in my heart for my choice and thank all those who supported me to make this decision. From Cairo to Abu Simble we saw many many temples and pyramids: the Sphinx,the Cheops Pyramid, the temples in Abydos,Dendara, Luxor, Edfu, Kom Ombo, the Valley of the Kings… Each and every one of them is a masterpiece of its own. Although the real wonders of Egypt are hidden from the eyes. The energies in these ancient places are remarkable. Facing and letting go to of my fears from previous lifetimes, meeting my well known friends from different planets and dimensions, as well as Isis, Osiris, Sekhmet… taking part in healing meditations, listening to heart opening singings, seeing Light Codes for the first time in my life, blown away from the Light Language. Reconnecting my Divine Feminine energies in the Isis temple were the steps to the shift and changes I am already experiencing after the trip. Our Egyptian friends Hisham, Akhmed and Mustafa did everything to make sure that we saw so much from their country’s historical and cultural heritage. Huge thank you for this. Sailing on the Nile for a week, enjoying the sunshine and meaningful conversations as well as the delicious fruits,vegetables, Egyptian cuisine, the traditional music and dance, connecting with many many beautiful souls, healing Mother Earth together and recieving her healing through Mama Cacao were also part of the journey. Thank you, thank you, thank you from the bottom of my heart to the Star Magic team Jerry, Claire, Trevor and the Tribe for organising the tour and holding the space for us. Just loved being among shining weirdos! Thank you Vincent for encouraging me to face my fears and being there for me all the time. Thank you all Beautiful Beings taking part in this trip bringing and sharing your Love and Light and being you! I am back home to Taipei-Taiwan. This Egypt trip was an experience I will remember forever, a magical tour for sure. I benefited from the energy healing session at the start of the tour. Being energy cleansed was the best thing that could of happened to me. At first it was hard for me to get into the meditations but after 3 days I decided to open my mind, hear and body to your guidance. The visualizations came to me in the deepness of the meditation. I then started going deeper and deeper and boom it started to take effect from there on. Almost every session there after my head would start vibrating from the energy field that you were drawing across the room. 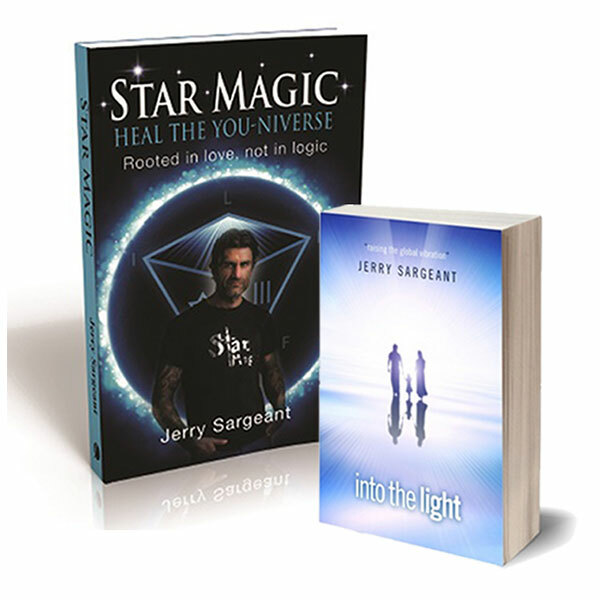 I’s an amazing feeling to be connected to out of this world galactic meditations and light code downloads. Thank you. My life has changed forever! WHAT DO PEOPLE SAY ABOUT OUR WORKSHOPS? A £750 non-refundable deposit must be paid by the 24th September. The remaining balance must be paid by 8th January. The price includes accomodation, internal flights, breakfast and evening meals, entry to sacred sites and special private access to the pyramids, nile cruise plus on board accomodation, healing meditations, upgrades and planetary grid work opportunities… and more! Please contact: info@starmagichealing.com for more info and to book your space.